Spring is in the air, although it feels like summer with 80+ degree weather! 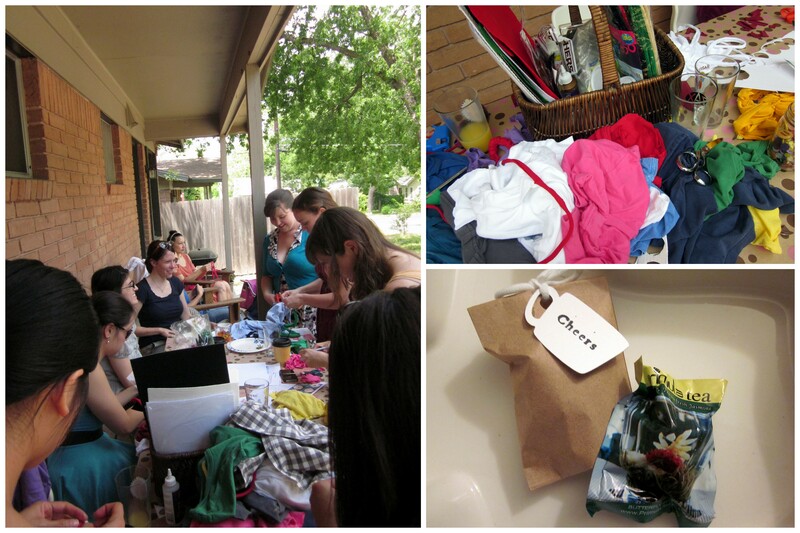 This past Sunday, I hosted a Coffee & Tee party with 20 of my lady friends. It was a delightful brunch affair with some crafting—upcycling tees (check out my previous post for new uses for old tees). 1. Mini cereal bowls from my favorite cookbook, Bite by Bite (I previously mentioned them as a simple yummy food) – these seemed to receive the most raves. 3. Maple pecan bread pudding from Martha Stewart – people didn’t seem to eat much of this. I think it’s because it just looked like sliced bread when it actually tasted more like yummy french toast. 4. Two kinds of tea sandwiches – bacon and cucumber that my friend Phyllis made. 5. Mini potato, egg, and cheese – I was inspired by the Idaho Sunrise from Our Best Bites combined with my love of things in miniature. 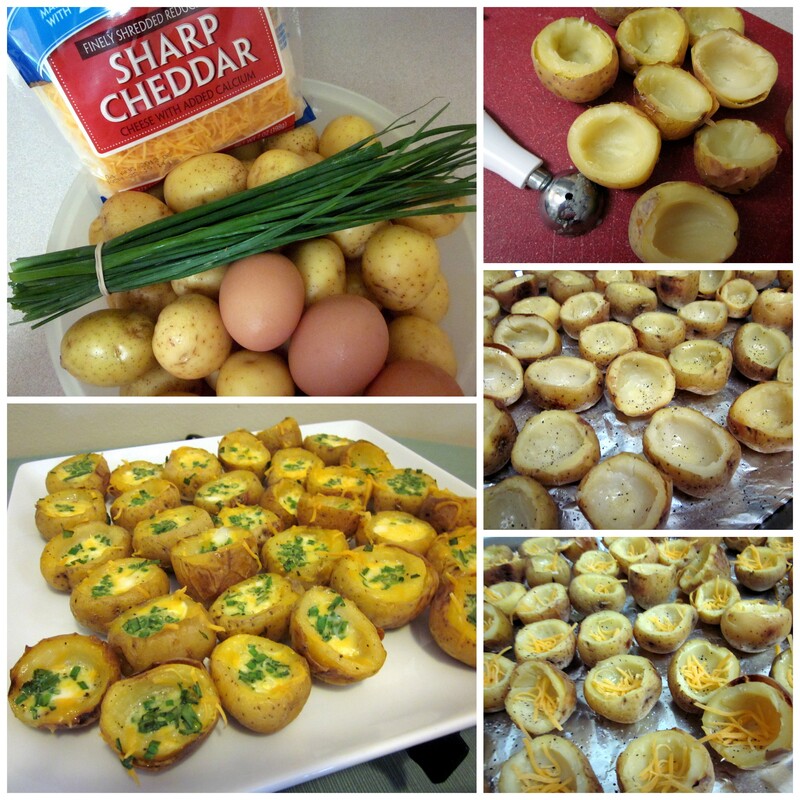 Bake small potatoes at 350°F until a paring knife easily slips into the center, about 55 minutes for 50 potatoes. Slice a layer off the top and scoop out some of the insides of the potato to make a little standing bowl (I used a melon baller and saved the insides for mashed potatoes). Butter, salt, and pepper the inside of each potato. Add shredded cheddar cheese or any other toppings you prefer. Scramble some uncooked eggs and fill the potatoes (I used four eggs). Top with more cheese, salt, pepper, and chives. Bake for 15-20 minutes and serve warm. These turned out pretty tasty when warm, but a lot of the egg oozed out during baking. I would use slightly bigger potatoes next time and a lot more egg. 1. Mini pear brie bites from Pillsbury – I made a rookie mistake in forgetting that when you use dark pans for baking, you need to set the oven at a lower temperature. I ended up blackening 40 out of my four dozen bites after about 10 minutes in the oven at 375°F. I’m going to make another attempt at these this weekend, setting the oven at 325°F and hoping they turn out much better. At least I had some leftover brie that I sliced and put out with the few brie bites I was able to save. 2. Chocolate cake balls using C-Man’s mom’s chocolate bundt cake recipe – the cake and crumbling steps turned out fine, but when I started trying to roll them into balls, I realized I hadn’t added enough frosting to the cake mixture. There wasn’t enough time to wait for additional frosting to set in so I completely scrapped that idea. Apparently, it had been too long since my cake balls lesson. I ended up throwing together some chocolate covered strawberries and bought some donut holes from Shipley’s to serve as dessert. 1. Coffee from a local coffee shop, Sorrento’s Coffee. Optional to add a shot of coffee liquer. 2. A mix of tea bag options from Central Market, Tazo, and Mighty Leaf. 3. 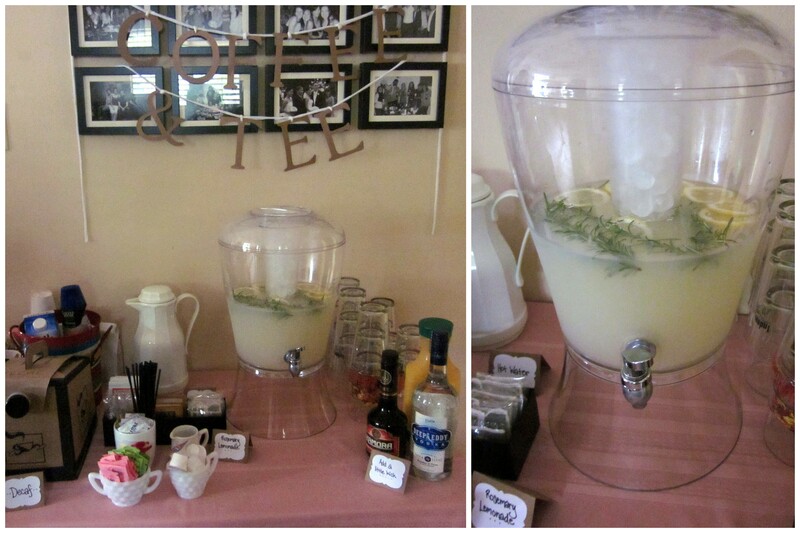 Rosemary Lemonade from the Unintentional Housewife – I doubled the recipe and added about 30-40% more water. Optional to add a shot of vodka. 4. Friends brought orange juice and prosecco to make mimosas. We had fun making tee crafts outside—there were plenty of old tees to choose from—but it got a little hot and we needed more space. 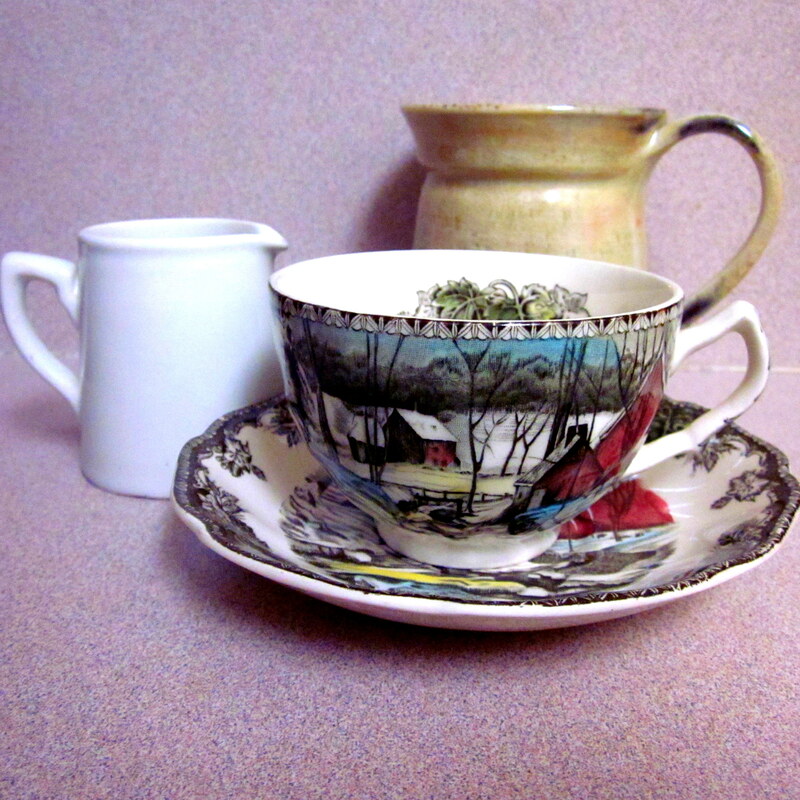 Most friends went home with at least one thing they crafted and a party favor of Primula flowering tea. Other than the bit of preparation stress, it was quite a lovely, girly afternoon with some of my favorite ladies. 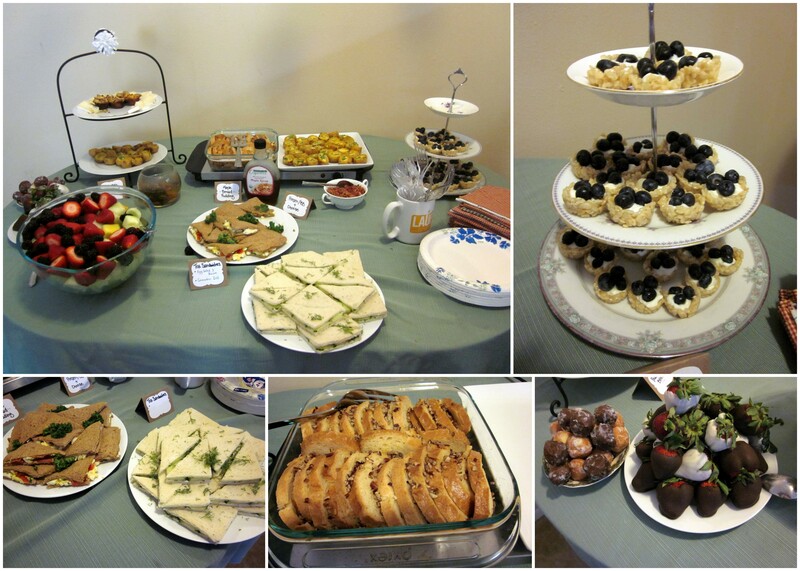 This entry was posted in Food and tagged Brunch, Craft party, rosemary lemonade, tea party. Bookmark the permalink. Your parties are so pretty and adult-like! I wish I could play too. I wish you lived closer and could play with us too!